McLaren Automotive is laying the groundwork for the next six years of its existence with the launch of Track22, a comprehensive business and development plan that McLaren is embarking on beginning this year all the way through 2022. The plan covers numerous plans and targets that the British automaker has set its sights on, including future product lineups, an all-new engine architecture, and investments in research and technology. The future model lineup is arguably the most interesting takeaway from the announcement, largely because McLaren has already given us a peek on its product lineup for the next six years. According to the company, a total of 15 all-new cars or derivatives will be launched through 2022. 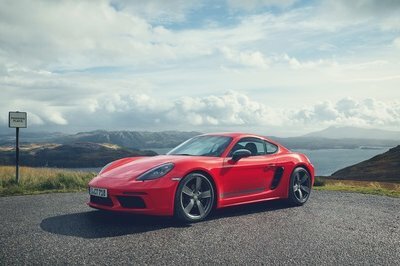 All three of the company’s newly formed families – the Sport Series, Super Series, and Ultimate Series – will get its share of new models, including a Spider version of the McLaren 570GT, a member of the Sports Series family that officially made its debut at the 2016 Geneva Motor Show. The Spider version is expected to arrive in 2017, likely making it the first of the 15 or so models that McLaren has promised. McLaren CEO Mike Flewitt also added that a new hybrid vehicle is also expected to arrive within that six-year plan. Then there’s the pièce de résistance: a one-off, fully electric prototype that will be part of the Ultimate Series. Other aspects of McLaren’s Track22 business plan involves continuing its commitment to invest 20 to 25 percent of its turnover back to its research and development department with an eye towards building future products and technologies that will be used both in the short term and in the long term. All told, McLaren expects its investment to total as much as £1 billion, which converts to about $1.42 billion based on current exchange rates. The British automaker also expects to ramp up the development of its hybrid technology over the next few years to coincide with the company’s plan to have at least 50 percent of its models utilizing hybrid technology by 2022. So this is what McLaren has in store for us over the next years. There are a lot of interesting tidbits from this announcement but the most important, at least in my mind, is the company saying that it’s got 15 models it plans to launch over the next six years. 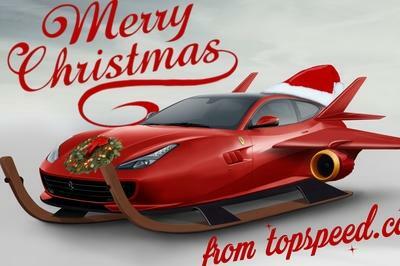 It’s unclear if the 570GT is included in that total, but since the six-year plan technically starts this year, let’s assume that it is. That model, together with the 570GT Spider that’s scheduled to debut in 2017, will represent the first two models of this 15-car plan. McLaren also announced that it plans to launch the LT variant into its own track-focused sub-brand because of the hugely successful – and now sold out – 675LT Coupé and Spider models. That sub-brand would likely spawn a pair of new models. Then there’s the hybrid movement, which McLaren appears to now be fully invested. 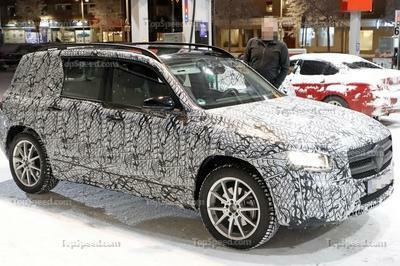 The company’s comments about having 50 percent of its lineup hybridized by 2022 suggests that of the 15 models it plans to launch, at least seven of them will be hybrids. McLaren did say that the first hybrid model isn’t expected to arrive until the latter portion of its six-year plan, so that could be somewhere around 2020. Regardless of the timetable, the mere fact that the company plans to have 50 percent of its models using some form of hybrid technology is a huge departure from the status quo. Today, only one model – the P1 – falls under this category, and even then, the P1 is an exception more than it is a rule. Having that many hybrids in six years will represent an enormous shift in McLaren’s development strategy. I’d be remiss if I didn’t talk about the most exciting aspect of the Track22 announcement. McLaren said that it’s already begun development of a one-off prototype to “evaluate the possible benefits of a fully-electric powertrain in an Ultimate Series car.” Right now, the aforementioned P1 is the only car that falls under McLaren’s Ultimate Series line. This announcement essentially confirms that the company is already working on a potential successor to the hypercar, one that could be powered by a fully electric powertrain. I don’t know about you guys, but this announcement has me all giddy to see what comes out of it. If anything, McLaren has set a really high bar for itself over the next six years. Now, we just wait back and see if the company can deliver on all of these promises. 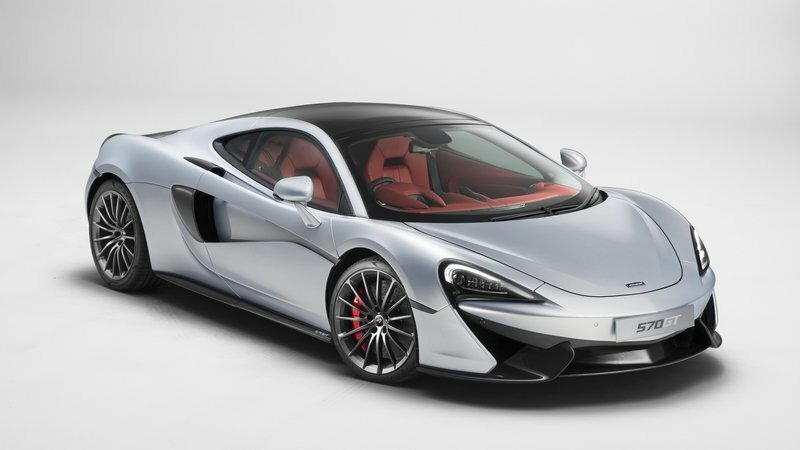 Read our full review on the McLaren 570GT here. 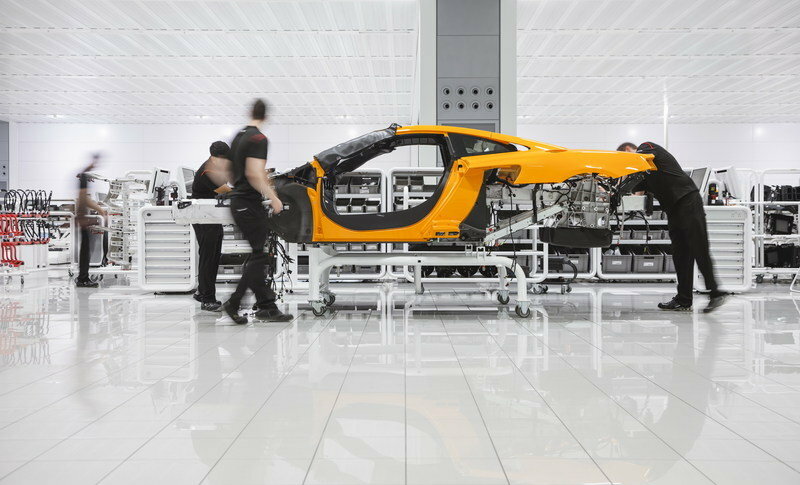 Just over six years after the company was formed, McLaren Automotive has announced details of its Track22 Business Plan, taking it through the next six years through to 2022. 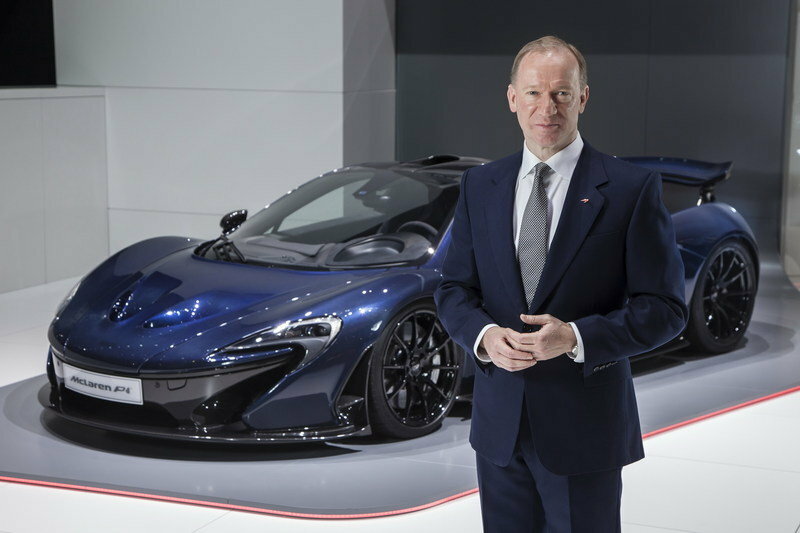 Subsequent to the global success of the petrol-electric hybrid-powered McLaren P1TM, McLaren Automotive has confirmed that at least 50 percent of its cars will feature hybrid technology by the end of the Business Plan period. Research engineers at the McLaren Technology Centre in Woking, England, are also in the early prototype stages of the development of a fully-electric powertrain to evaluate its possible use in a future generation of an Ultimate Series car. 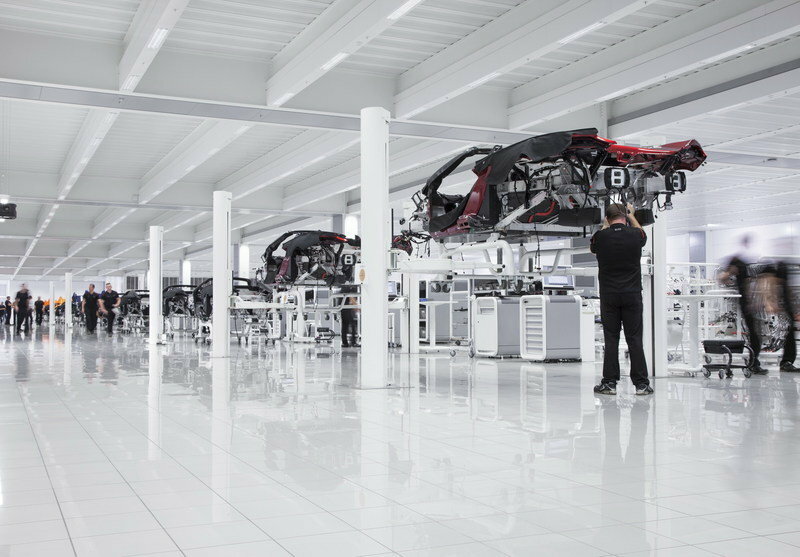 Mike Flewitt, Chief Executive Officer of McLaren Automotive commented: ‘Since its inception, McLaren Automotive has launched world-class products and this has been made possible by continuous investment in our future. The launch of our new six-year Business Plan, named Track22 because I believe that we are on track to a very exciting and successful future, scopes our future investments and development strategy up until 2022. This will see us launch 15 all-new cars or derivatives within our existing Sports Series, Super Series and Ultimate Series families. 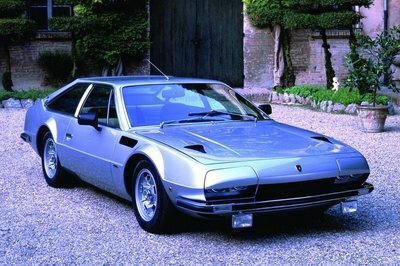 We will also develop an all-new engine architecture that will debut towards the end of the Business Plan period.